Over three hundred students, faculty, staff, faith, environmental justice and community leaders gathered to participate in the discussion about equity, inclusion, sustainability, and adaptation in the face of climate change. Historically Black Colleges and Universities (HBCU’s) in attendance included: Alcorn State University, Alabama A & M University, Bethune Cookman University, Dillard University, Fisk University, Florida A & M University, Grambling State University, Howard University, Jackson State University, Kentucky State University, Lincoln University, North Carolina A & M University, South Carolina State University, Southern University A & M, Spelman College, Tennessee State University, Texas Southern University, Virginia State University, and Xavier University of Louisiana. Other university participants included the University of Michigan School of Natural Resources & Environment, University of Massachusetts Boston, Emory University – Rollins School of Public Health, Chatham University, Humboldt State University, Carnegie Mellon University-Heinz College. Four students from De La Salle High School, were also in attendance. 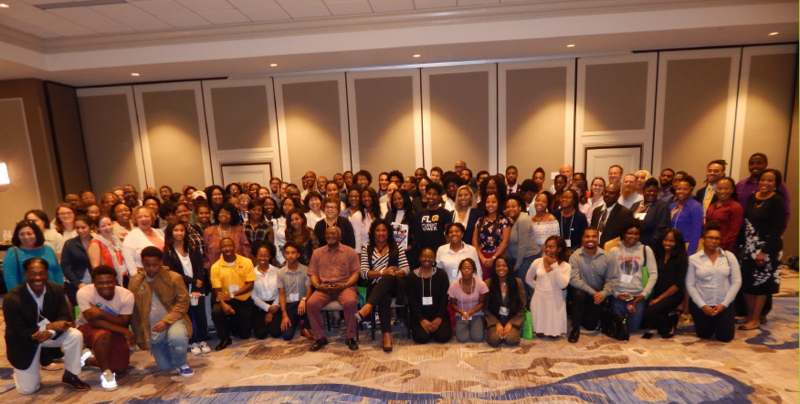 The four-day conference included the Plantation to Plant Tour (Cancer Alley), expert panels, student panels, a student poster session, a career fair, two keynote speakers, two interactive workshops and the 2018 Damu Smith Award.